From San Francisco comes news that the Word for Word Performing Arts Company will stage an adaptation of Siobhan Fallon’s You Know When the Men Are Gone that features two of the collection’s short stories, “The Last Stand” and “Gold Star.” “The Last Stand” is about a badly wounded Fort Hood soldier who, among other things, clambers upon a mechanical bull in a last ditch effort to save his pride, his marriage, and everything else worth living for. He stays atop the bull for only a few moments and alas the marriage doesn’t last much longer. It’s my favorite story in YKWTMAG; by the end of it your heart goes out to both the soldier and the woman who doesn’t love him enough anymore to stay married to him. “Gold Star” is about a young war widow named Josie Schaeffer who still resides at Fort Hood in the weeks after the death of her husband overseas. Kit Murphy, the wounded soldier whose wife ditches him in “The Last Stand,” reappears in “Gold Star.” A soldier in Sergeant Schaeffer’s squad, he wants to pay his respects to his former sergeant’s wife–by far, it appears, the most heartfelt thing anyone in the Army has done for her after her husband’s death. Both stories are about loss, big loss, with the slight sliver of connection between Kit and Josie at the end of “Gold Star” hardly recompense for the pain. No doubt the shows will render well Fallon’s knack for emotional nuance and ear for dialogue. I’m curious how they will recreate her superb eye for the physical details of military base life and sensitivity to the ambiance of Army culture. The shows will run from 31 January to 24 February at the Z Space theater in San Francisco. Word for Word specializes in stage adaptations of classical and contemporary fiction. 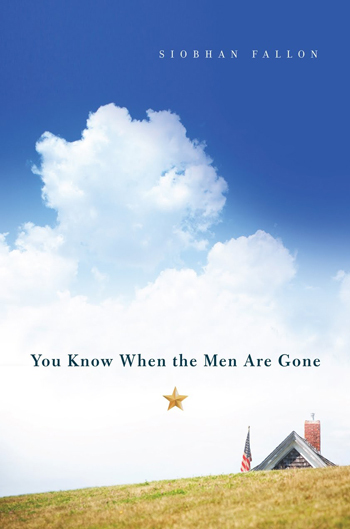 Two reviews of the Word for Word/Z Space production in San Francisco of Siobhan Fallon’s You Know When the Men Are Gone are available online. Both lavish praise on the performance. From an online review called Edge.